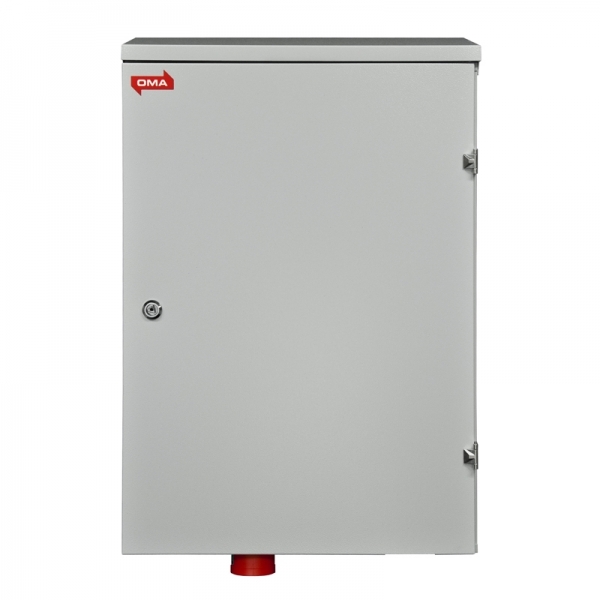 Our product selection also includes standardised outdoor metering centres with a reserve power connection and socket outlets for use on farms. 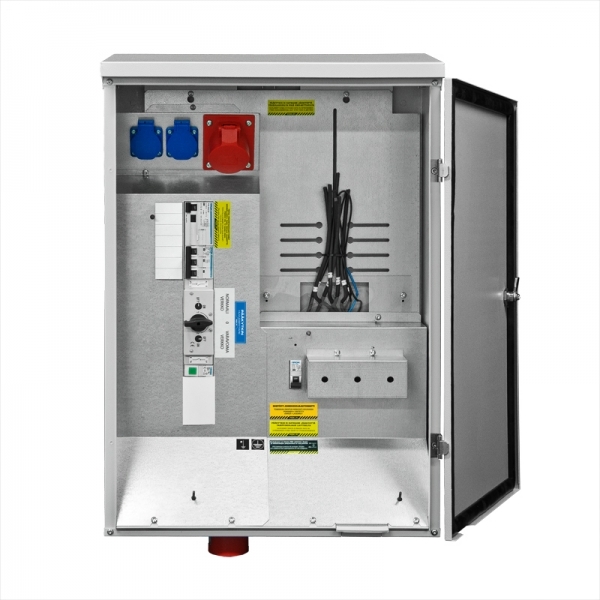 Our product enables a more secure and easier solution for network change-over. 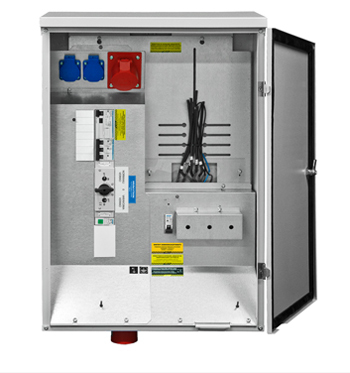 Our selection covers centres with a rated flow of 50A and 80A, all with a cabinet category of IP34. 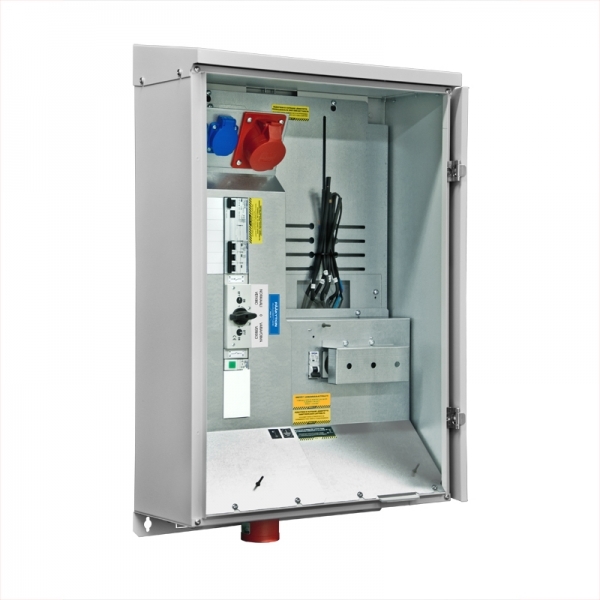 Ask our sales staff about reserve power centres over 80A that we can provide for special centre structures. 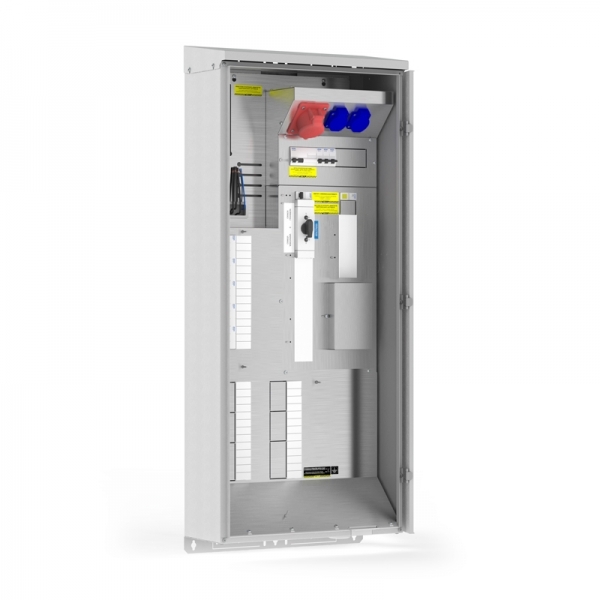 The centres include a network-0-generator selector switch, the required number of miniature circuit breakers and residual current devices and plenty of reserve space. 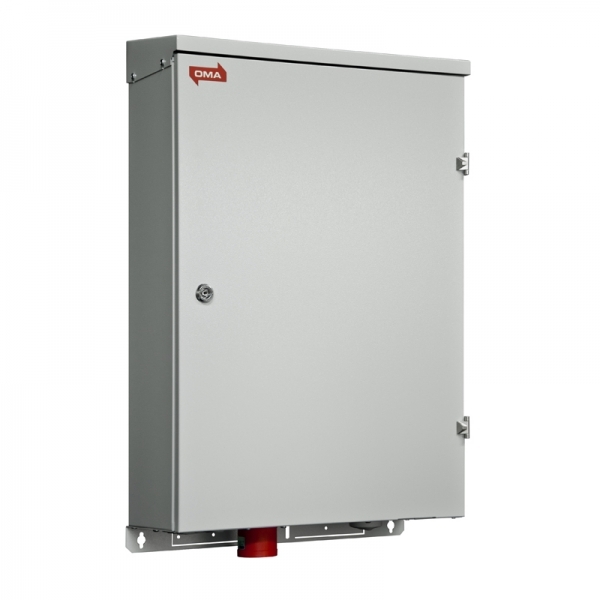 Mounted in the centre are an Plugreceptacle for the supply of reserve power and a 5 x 16A power contact socket and 16A Schuko socket outlets, both of which are protected with a 30mA residual current device. An LED indicator light module indicates the voltage in the network. We have aimed to facilitate installation and use for multiple purposes with wire feed-throughs and a rain shelter that are part of the delivery.